Wisconsin "No-Fault" Divorce Attorneys - Crooks, Low & Connell, S.C.
Like all other states, Wisconsin law provides what is known as “no-fault” divorce. In fact, Wisconsin is purely a “no-fault” divorce state, which means that it is no longer possible to file for divorce in Wisconsin on fault-based grounds. But, while this may sound like it limits spouses’ options when it comes to filing for divorce, the reality is that the “no-fault” divorce system is intended to make it easier to end your marriage. If you are contemplating a divorce in Wisconsin, here are answers to five common questions about filing for a “no-fault” divorce. 1. What does it mean to file for a “no-fault” divorce? In order to file for a “no-fault” divorce in Wisconsin, all that is required is for you to state that either (i) you and your spouse have reached “irreconcilable differences,” or (ii) there has been an “irreparable breakdown of the marriage.” In contrast to the old fault-based divorce system, you do not need to allege or prove any specific facts (e.g., that your spouse committed adultery) in order to obtain a “no-fault” divorce. 2. Does “no-fault” mean uncontested? 3. What if my spouse wants to stay married? Since disagreeing over whether to get a divorce is itself considered an “irreconcilable difference,” it generally is not possible for one spouse to prevent the other from obtaining a divorce in Wisconsin. As a result, as long as you follow all of the necessary steps in the process, you will ultimately be able to obtain a “no-fault” divorce. 4. What is the process for filing for a “no-fault” divorce? 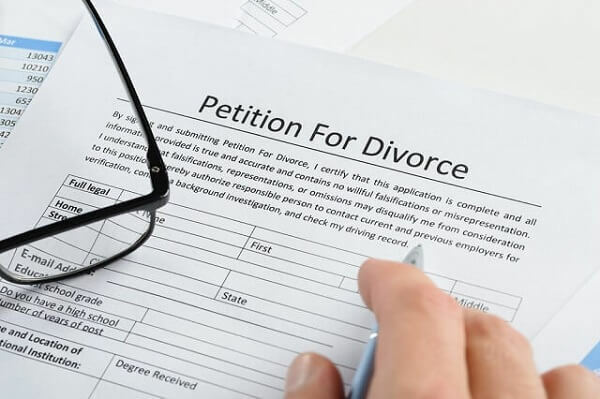 Filing for a “no-fault” divorce in Wisconsin starts with filing a Summons and Petition for Divorce in the appropriate Wisconsin state court. You must then serve the divorce papers on your spouse. This can be done through a private process server or the sheriff’s office if necessary; or, if your spouse agrees to the divorce, he or she can sign an Admission of Service. From there, you will begin the process of working through the issues involved in finalizing your divorce. 5. How long does it take to get a “no-fault” divorce in Wisconsin? The answer to this question depends on a number of factors, including your spouse’s willingness to participate in mediation or the collaborative divorce process. However, at a minimum, Wisconsin law has a 120-day waiting period from the time of filing until a divorce can be made final. Generally speaking, getting divorced in Wisconsin typically takes around six to twelve months. If you would like more information about filing for a “no-fault” divorce in Wisconsin, contact Crooks, Low & Connell, S.C. for a confidential consultation. To speak with an experienced divorce attorney at our offices in Wausau, WI, please call (715) 842-2291 or get in touch with us online today.